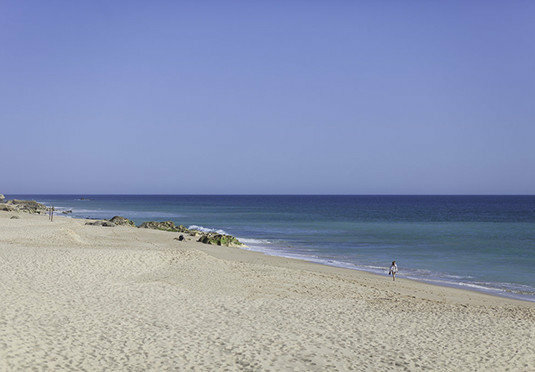 Already dreaming about your next trip to the beach? 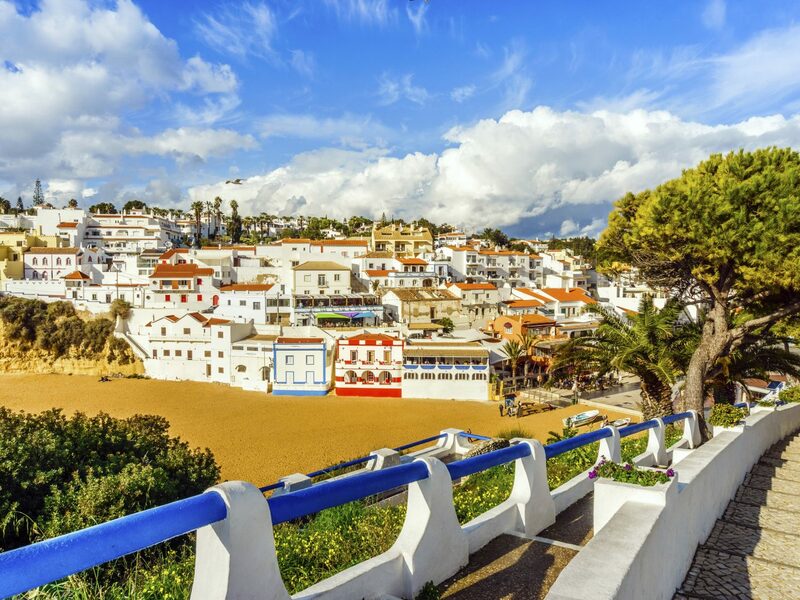 Europe has so many gorgeous coastal towns, you could spend a lifetime exploring them all—but these nine have remained blissfully under the radar. 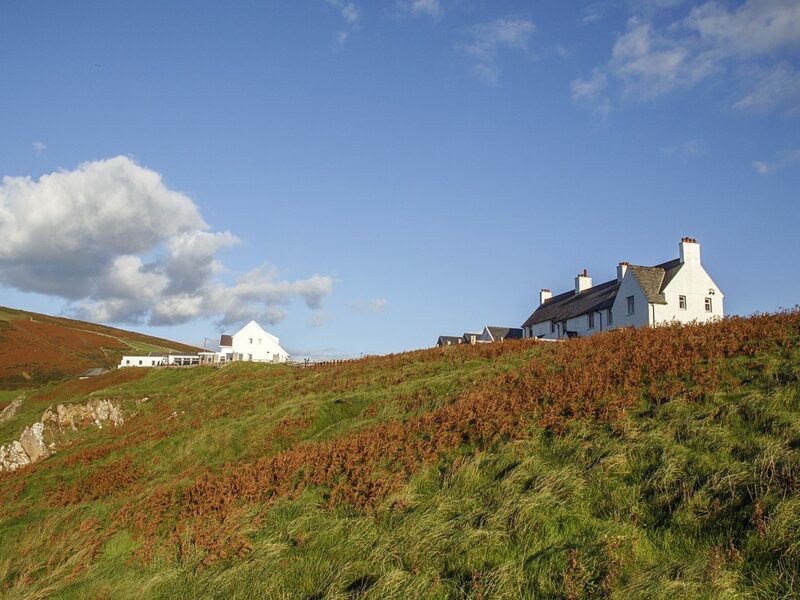 Whether you prefer the whitewashed Greek islands, the glittering Mediterranean, or the pristine shores of France or the U.K., these underrated villages are sure to spark your wanderlust. With show-stopping villages on the Amalfi Coast and the Cinque Terre, it can be easy to forget that Tuscany has a beautiful coastline, too. 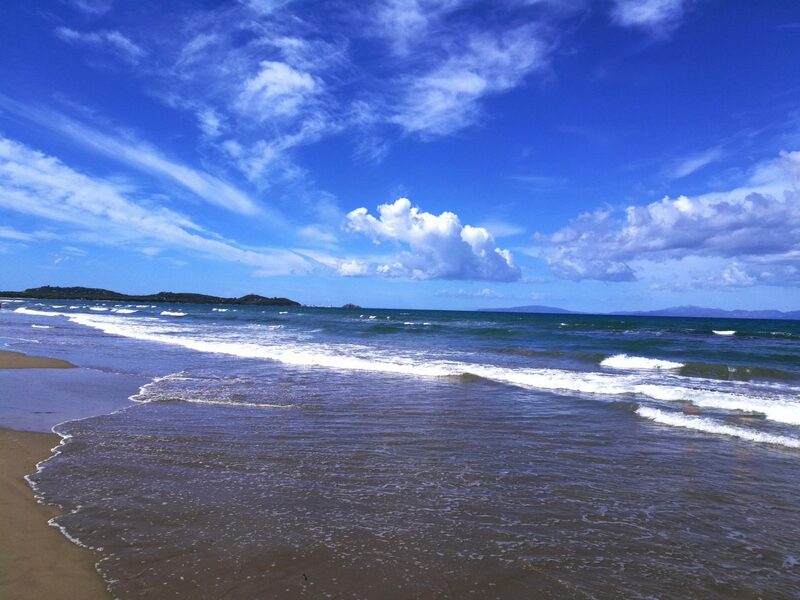 The Maremma, which stretches from southwestern Tuscany to northern Lazio, is a favorite among Romans and Tuscans, who flock here for the crowd-free sandy beaches and calm water. The Baglioni Resort Cala del Porto is a great base to explore the region (this part of Italy is much wilder and less developed than the country’s more famous towns, making it the perfect spot for nature lovers) or just relax at the beach club, where you can sip Aperol Spritzes with views that stretch all the way to the island of Elba. 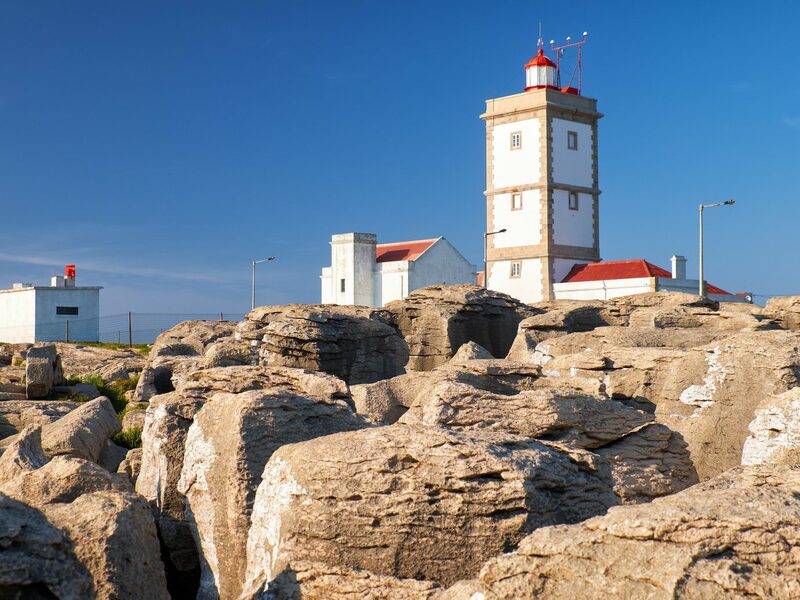 Denmark’s region of Jutland has a raw, untamed beauty, with sandy beaches surrounded by forests that seem like something out of a fairytale. 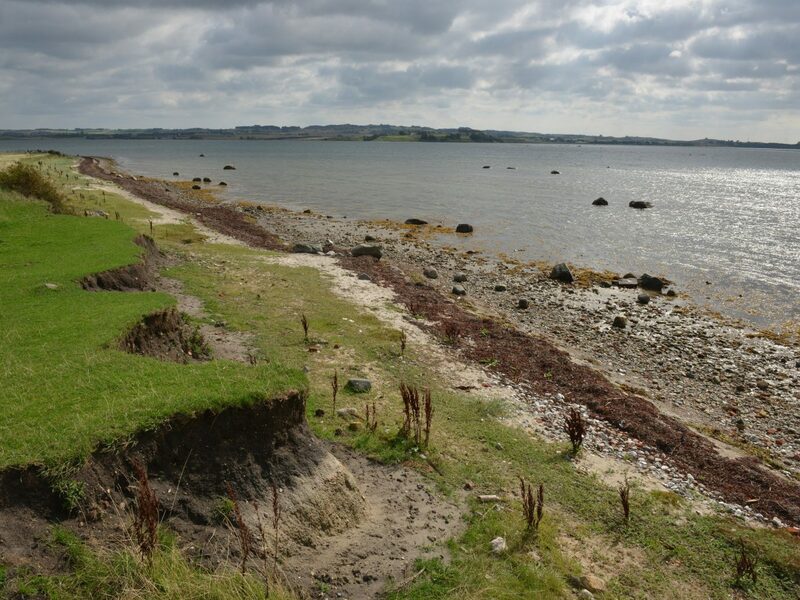 In the heart of Jutland, the town of Ebeltoft sits on the Bay of Aarhus, a body of water rich in Viking lore. 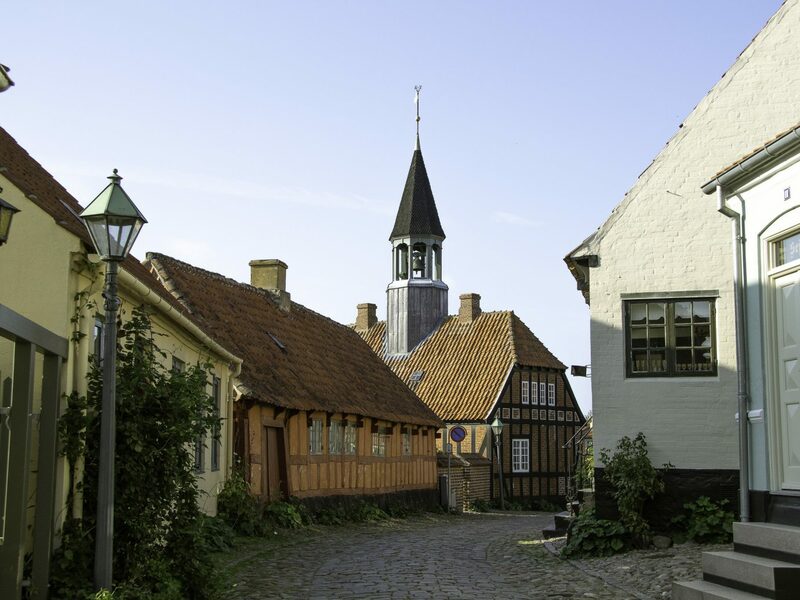 The town's population swells during the summer (many Danes have a summer home here), but if you don’t want to rent a house, you can stay at the charming Molskroen—a historic inn with a fine-dining restaurant. It's also worth stopping by for lunch at Restaurant Moment. Its interior is the epitome of Danish hygge (its rustic décor includes unglazed ceramics and wooden chairs draped in sheepskin throws), while the menu spotlights vegetarian dishes made from ingredients grown in the property's gardens and greenhouse. 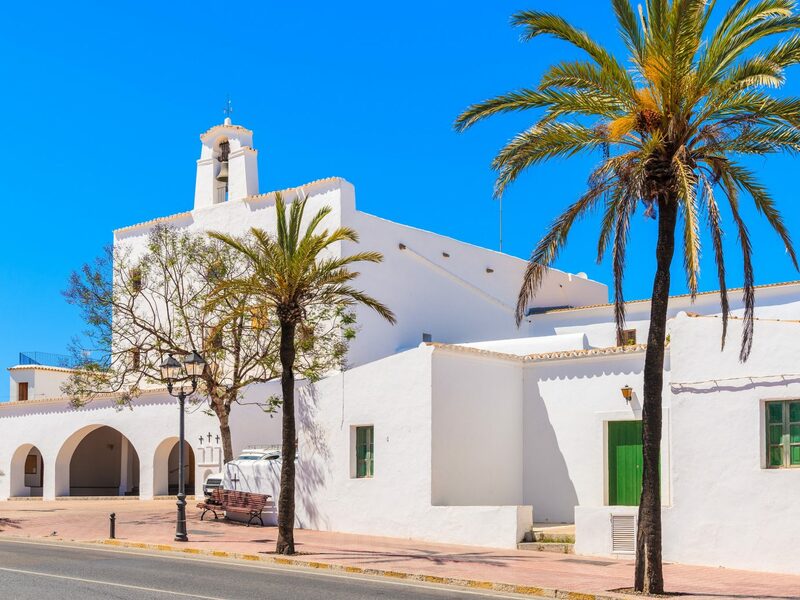 Most visitors to Ibiza tend to stay in Ibiza town and the resorts on the isle's more developed eastern coast, but the western side of the island has some of the best under-the-radar beaches. 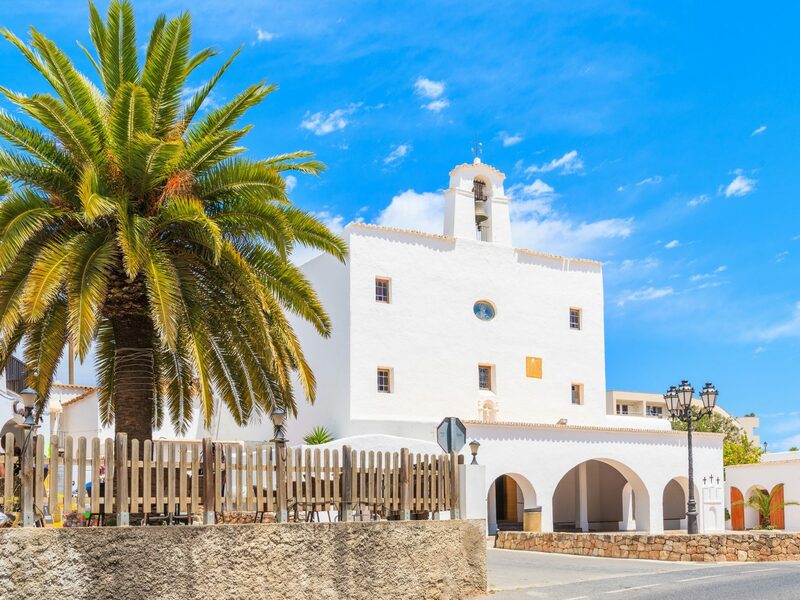 7Pines Resort, which just opened this summer, has made that part of Ibiza more accessible. From the glass-fronted infinity pool, you can gaze out at Es Vedra, the mystical island believed to be the home of the sirens who tried to lure Odysseus from his ship. Just a short walk away is Cala Codolar, a small hidden cove with sparkling turquoise water and a tiny beach shack that rents out lounge chairs. 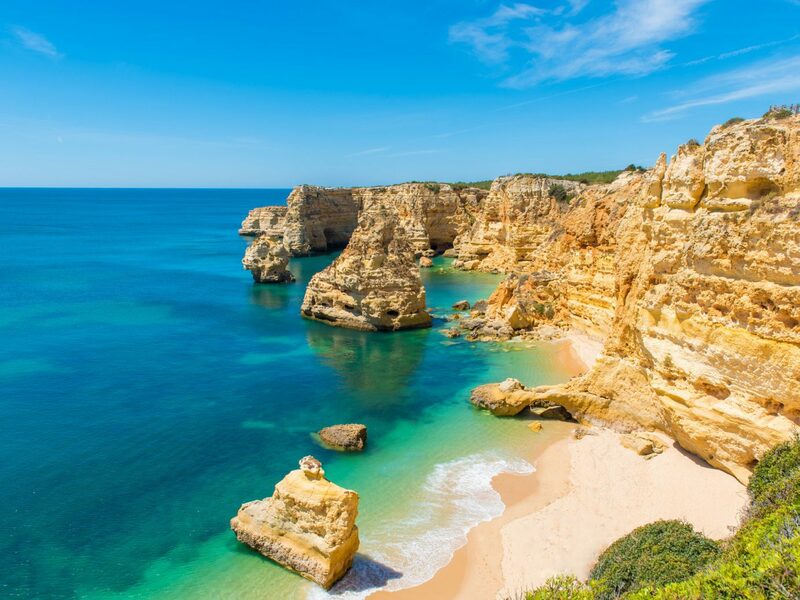 This town in the Algarve lies along the Seven Hanging Valleys, a hiking trail that offers spectacular views from the top of the area’s high rocky cliffs. At the bottom, you’ll find secluded coves and majestic cave formations, including one at Benagil Beach that appears to have a skylight. 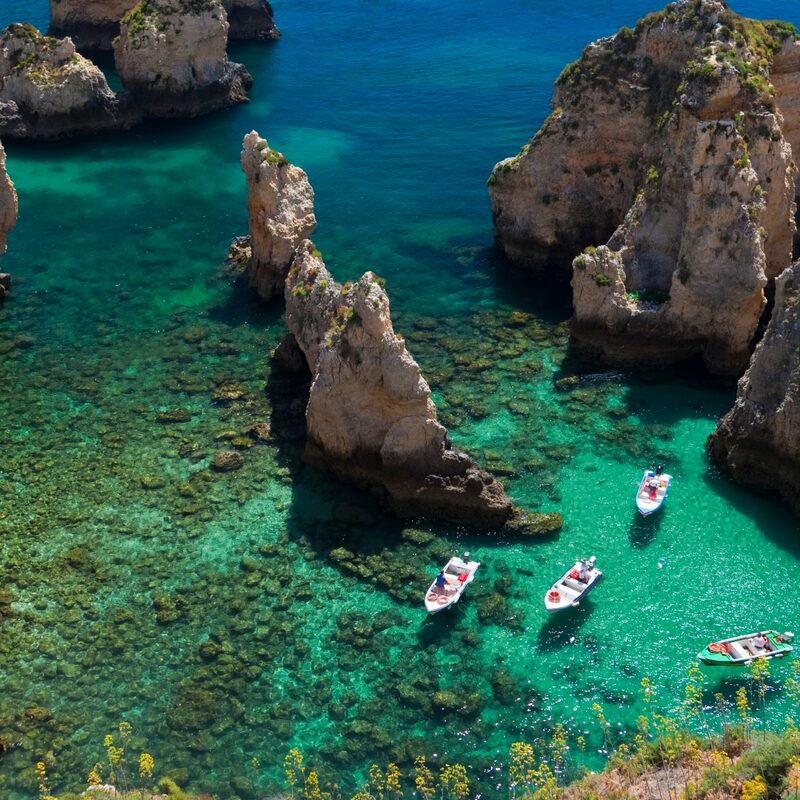 The best place to stay in this area is the recently renovated Tivoli Carvoeiro Algarve Resort, which overlooks the sea. Book a massage at the fantastic spa, where treatments incorporate local honey, olive oil, and herbs. 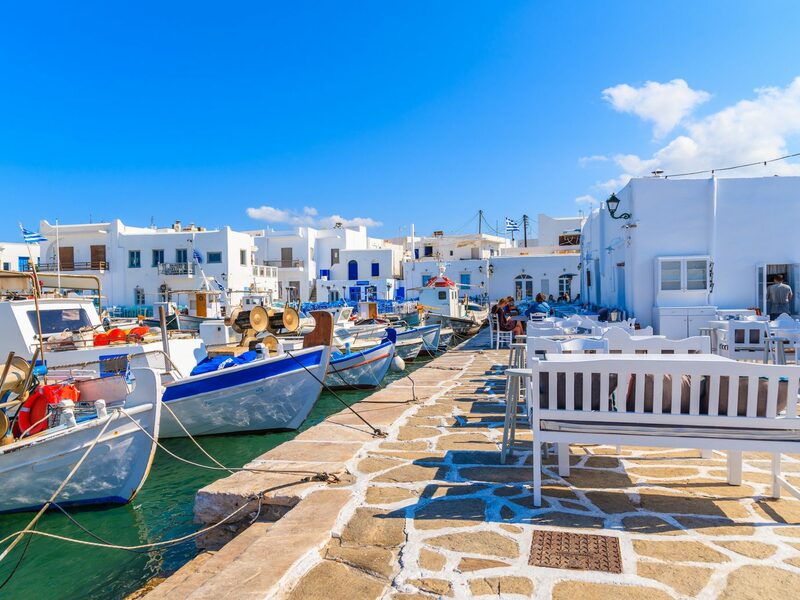 Forget Mykonos and Santorini—to experience Greece's more authentic side, you need to get off the beaten path and explore the other islands of the Cyclades. 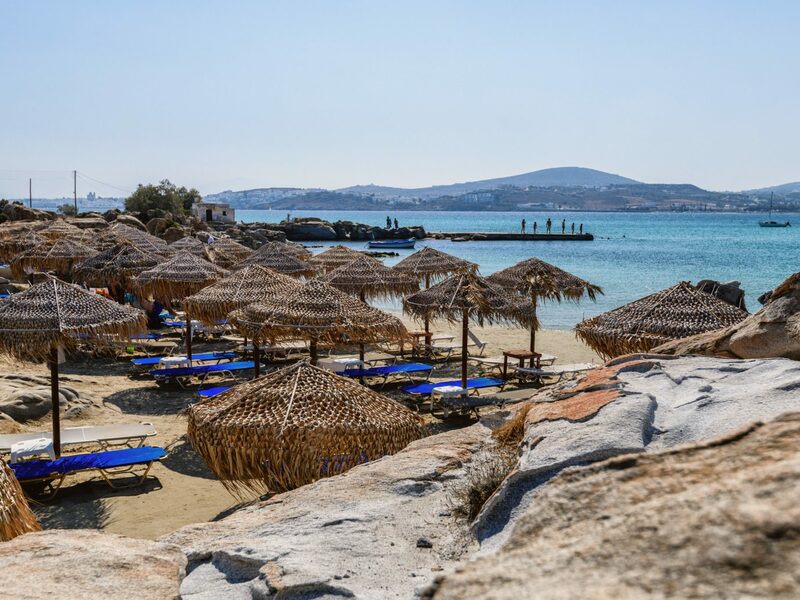 Whitewashed Paros is a great place to start. 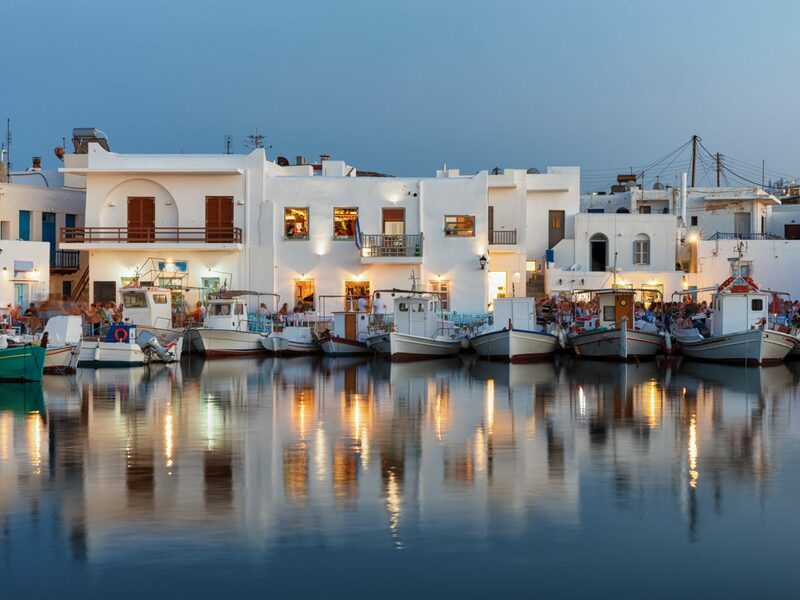 Naoussa, its main port city, comes alive in summer with outdoor restaurants, quaint local bars, and plenty of shops where you can buy white linen clothes and other beach essentials. There aren’t a lot of hotels on the island, so if you go, consider renting one of the luxury villas managed by White Key Villas, which has access to some of the island's most beautiful homes and can arrange excursions, guided tours, and just about anything else your heart desires. 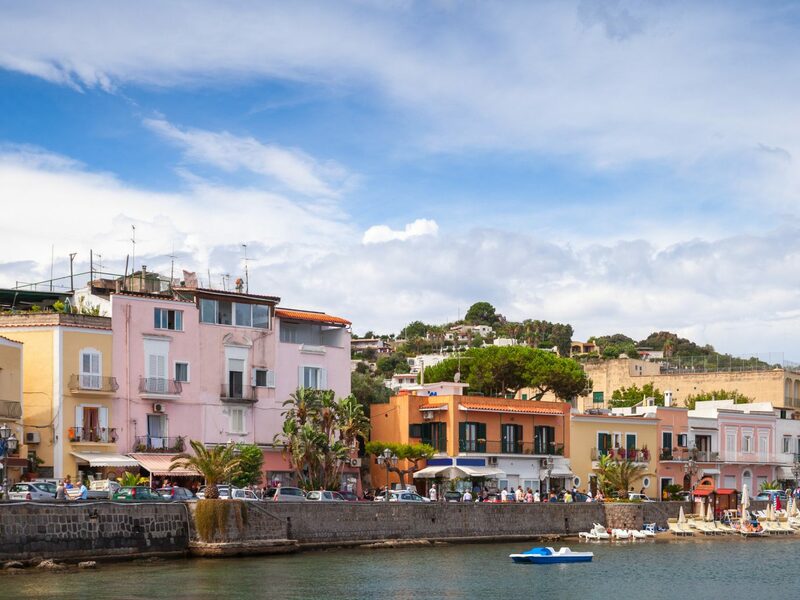 Capri’s sister island Ischia has for years remained largely under the radar, but that’s about to change with the debut of HBO’s new show, My Brilliant Friend, based on Elena Ferrante’s Neapolitan Novels. 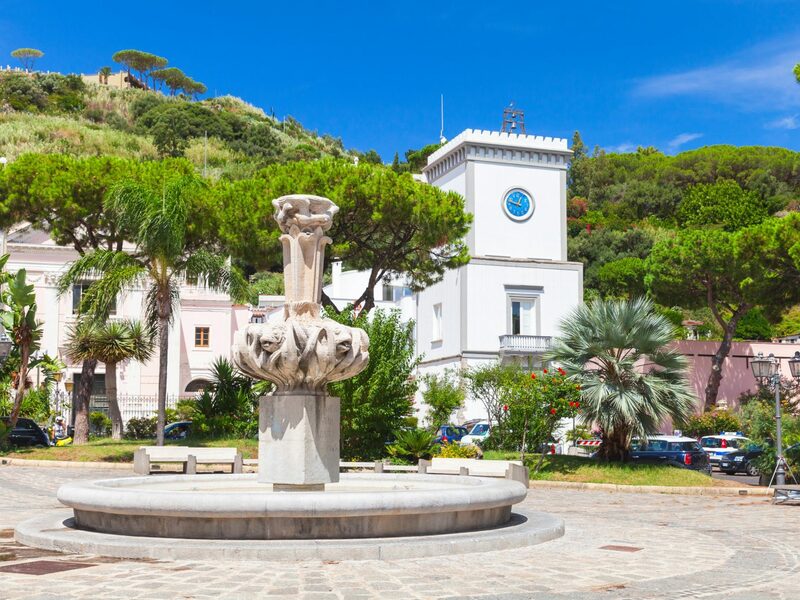 Ischia is known more for its thermal hot springs with healing properties than the glitz and glamor you'll find in nearby Capri—and that’s a good thing. Instead, the island has retained its down-to-earth vibe, with weathered churches, beautiful botanic gardens, and casual trattorias. Check into the historic Albergo della Regina Isabella, where Elizabeth Taylor and Richard Burton used to stay. 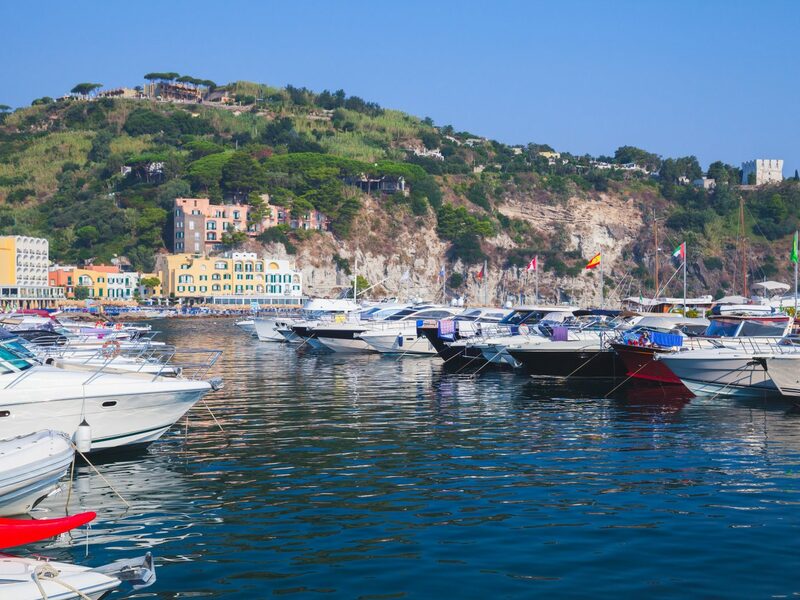 From there, you can easily explore Lacco Ameno and other places mentioned in Ferrante’s books, like Barano and the Maronti Beach. 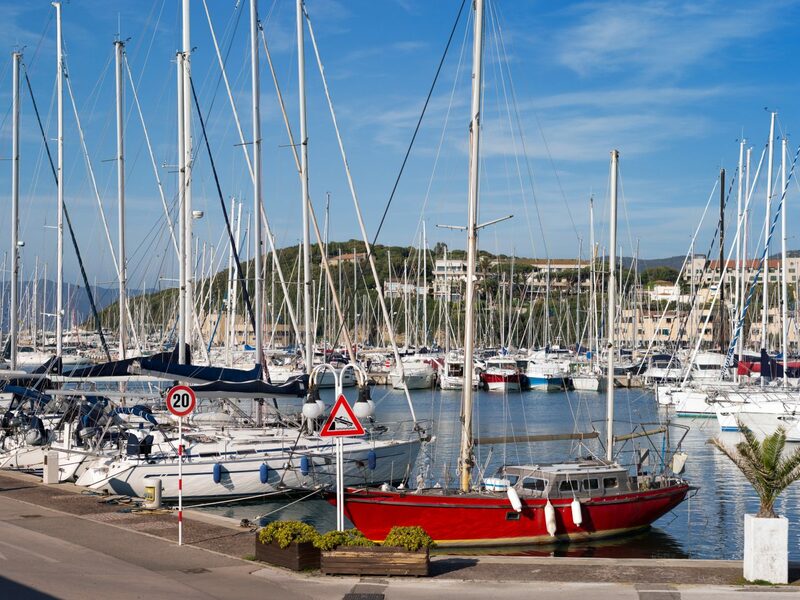 The beaches of the French Riviera may be more glamorous, but Brittany’s coastline in northwestern France is picturesque in a more low-key way. 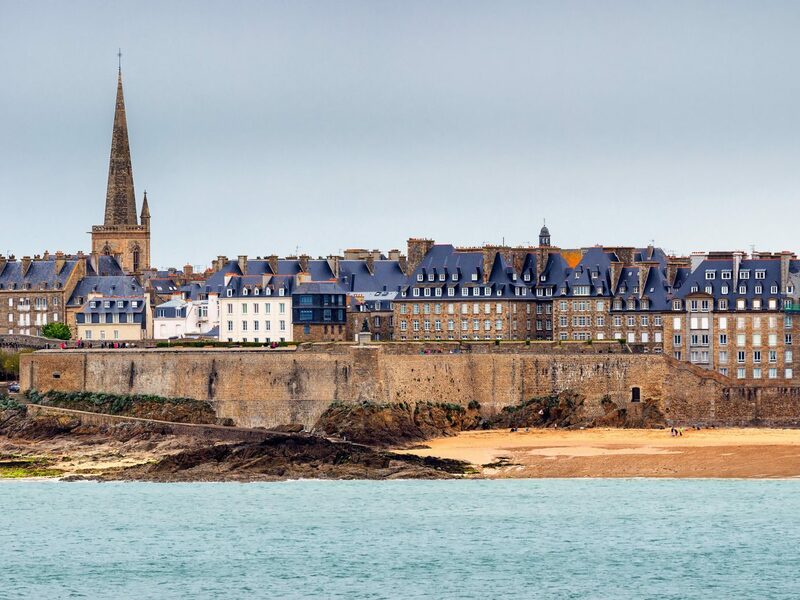 The historic village of Saint Malo was once a home for pirates and sailors including Jacques Cartier, the explorer who sailed to Canada in 1534 and claimed it for France. 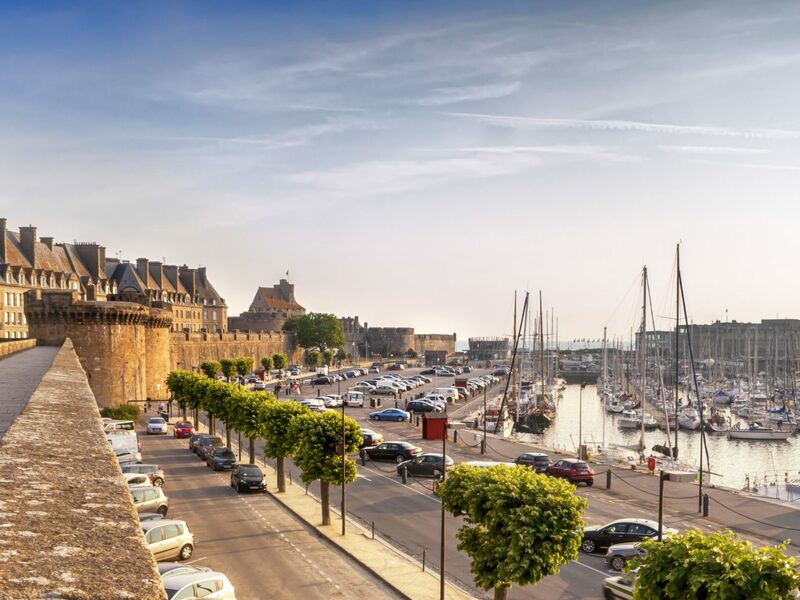 The town is like its own little island, connected to mainland France by man-made causeways and with sandy beaches and a charming historic center that was restored after WWII. 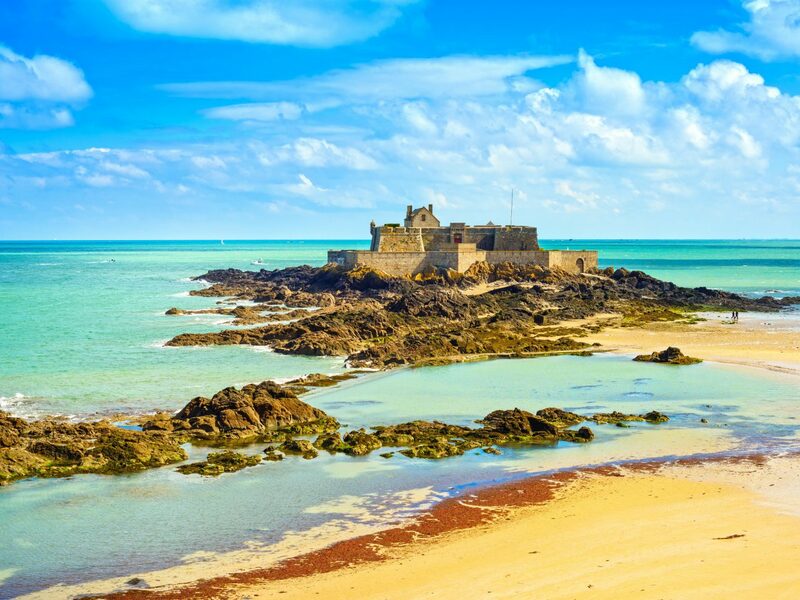 From here, you're just an hour from Mont-Saint-Michel, a must-see monastery on an island in neighboring Normandy. 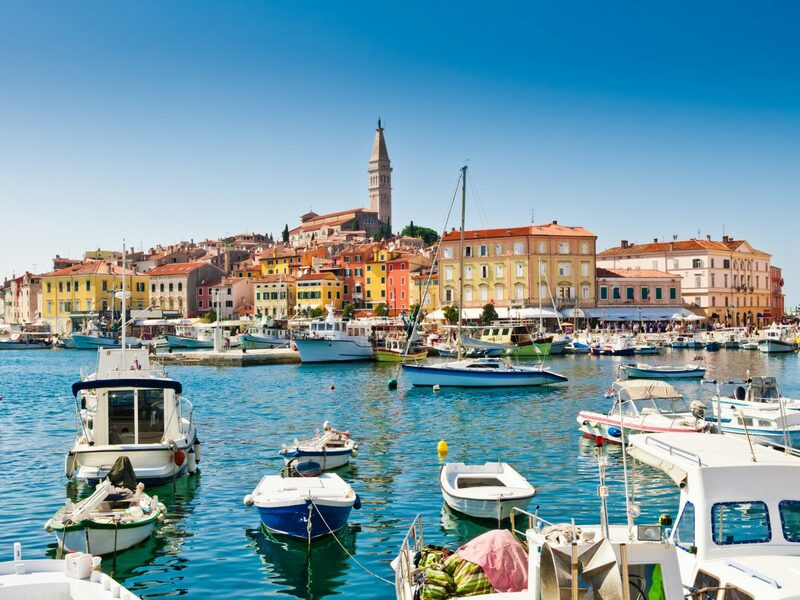 Dubrovnik seems to command all the attention, but Rovinj is a stunner of a seaside town on Croatia's Istrian coast. 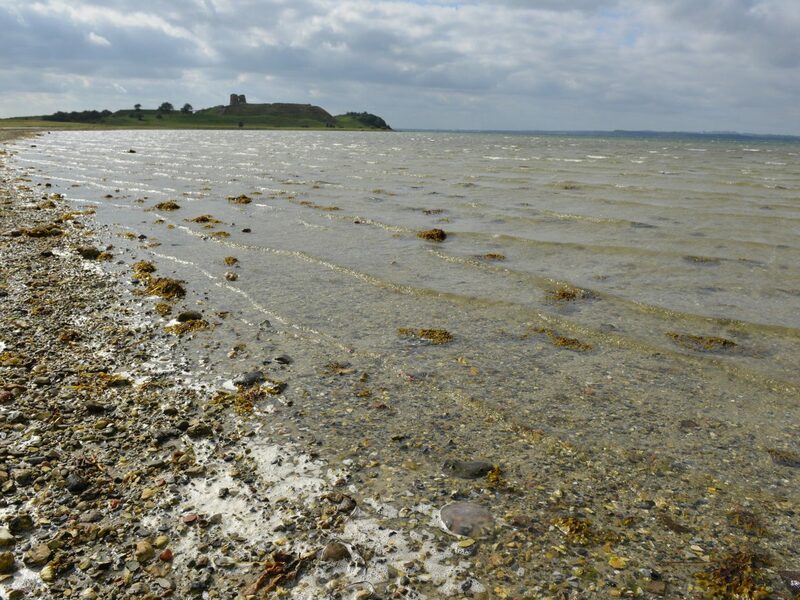 Fun fact: the city was actually an island until 1763, when it was joined to the mainland. Its architecture is reminiscent of Venice, with pastel-colored buildings, narrow streets, and rocky coves. 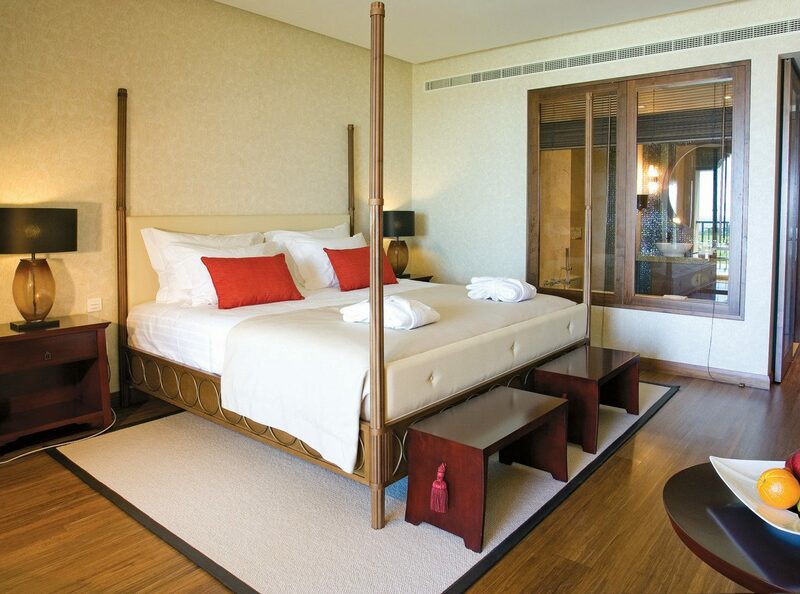 Check into the Hotel Monte Mulini, a member of Leading Hotels of the World, for sea views, a three-story spa, four pools, and fine dining. 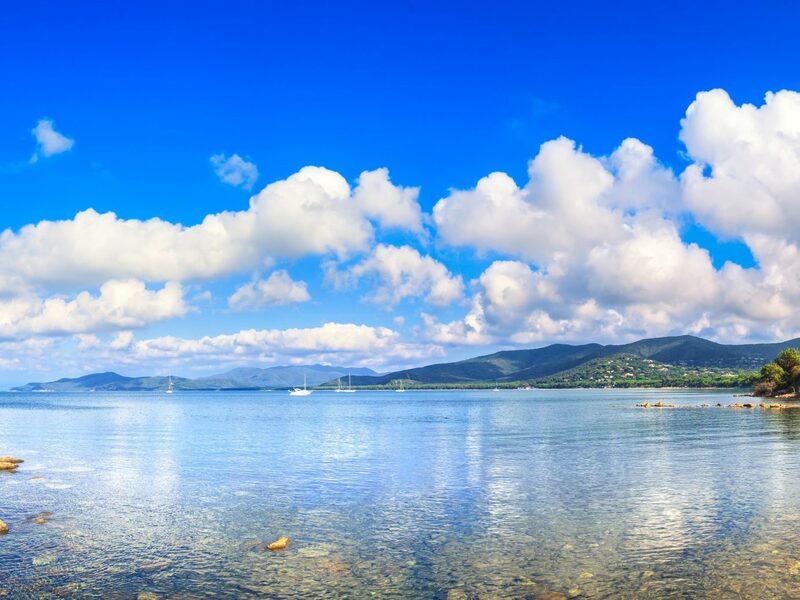 Just don't get too distracted: you’ll definitely want to get on a boat and explore the surrounding islands. 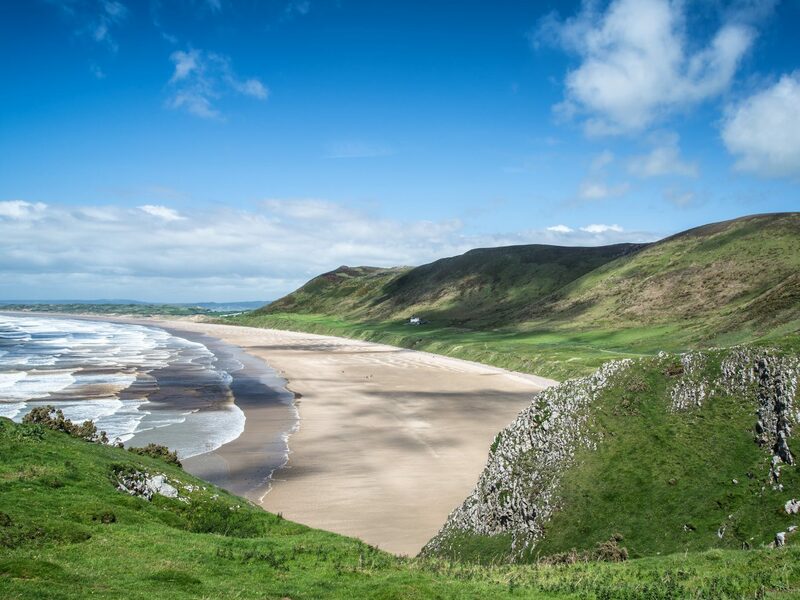 With glittering aquamarine water, three miles of pristine sand, and green hills just beyond, Rhossili Bay could almost be mistaken for the Caribbean. It certainly won’t be as warm (this is Wales, after all), but that doesn’t mean you can’t enjoy a lovely windswept walk along the beach. 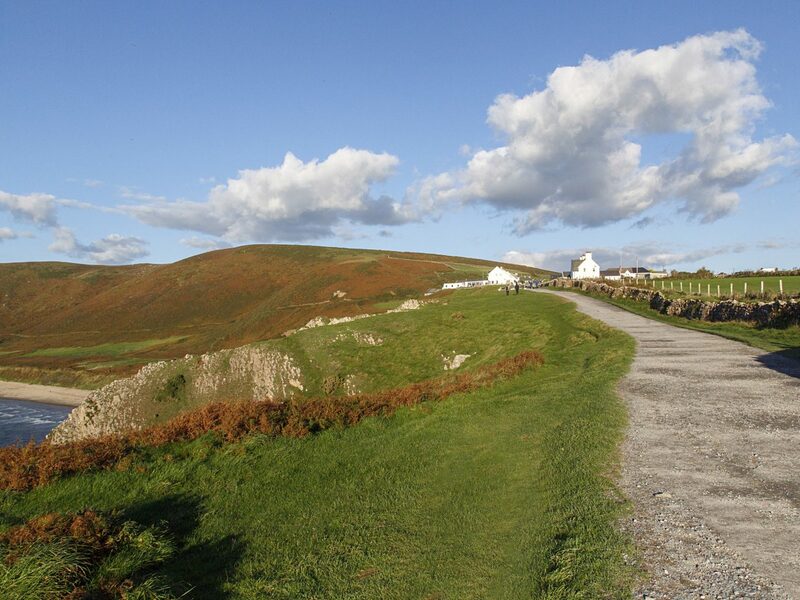 According to the Independent, it “lies within the first designated Area of Natural Beauty in the U.K.,” and the surrounding landscape certainly attests to it: the bay is surrounded by quaint Welsh towns and rolling marshlands where wild horses graze.